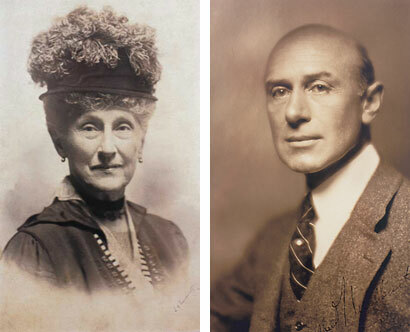 Elizabeth Milbank Anderson and Albert G. Milbank established one of the first general purpose foundations, the Memorial Fund Association in 1905; it was renamed the Milbank Memorial Fund in 1921, following Elizabeth’s death. The mission of the Fund since its inception has been to improve the health of individuals and populations by applying the findings of the best available research and relevant experiential learning to health policy and practice. Beginning with its founders, the Fund has benefited from the guidance of a succession of leaders who have served as presiding officers, chief executives, and/or members of its Boards. At its centennial, in 2005, the Fund commissioned an article on its significance for policy, a Centennial Report, and a special issue of The Milbank Quarterly anthologizing significant articles published in it since its inception in 1923. In “The Significance of the Milbank Memorial Fund for Policy: An Assessment at Its Centennial,” Daniel M. Fox, the Fund’s president emeritus, documents and seeks to explain the significance of the Milbank Memorial Fund for health policy and practice since its founding. He concluded, and the medical historians who reviewed the article before its publication in the Quarterly agreed, that the Fund has made its most important contributions by partnering with decision makers in the public, private, and nonprofit sectors to apply the best available scientific evidence and practical experience. The Centennial Report is a chronological survey of the work of the Fund during its first century. The special issue of The Milbank Quarterly reprints articles from the journal’s first eighty-three volumes that explore significant research in epidemiology and the policy sciences and its implications for policy and practice in health care and public/population health. An archive of documents pertaining to the history of the Fund is available at the library of Yale University at http://hdl.handle.net/10079/fa/mssa.ms.0845.